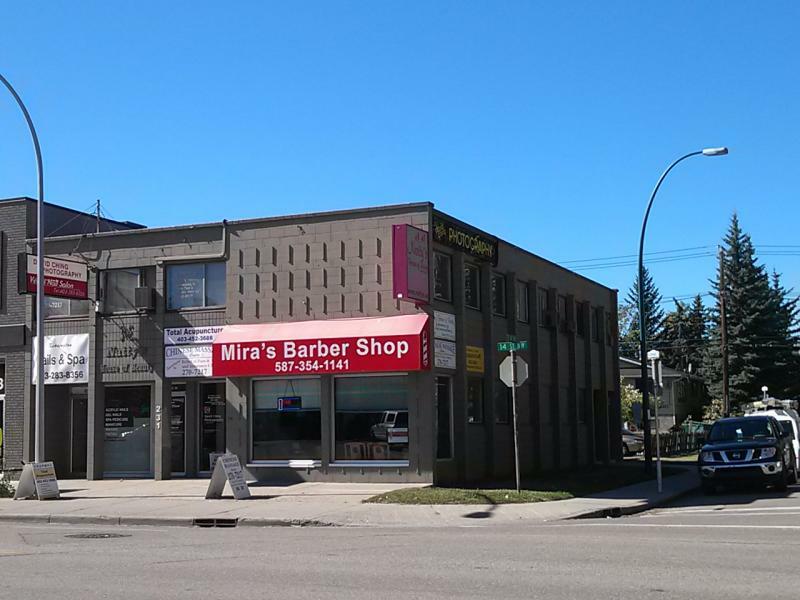 (Above the Mira's Barber Shop. One block north of the Kensington Rd, across the street from the Globefish Sushi Restaurant, on the SW corner of 2nd AVE & 14 ST NW. Our clinic is closed on statutory holidays and long weekends. New patients please arrive 10 minutes before your appointments to fill out the intake forms. Please provide 24 hours cancellation notice if you can not keep your appointment. at rear paring lot: 2 reserved stalls: #7, #8. Street parking on 2nd Ave beside our office for $2/hour. For appointments please click Online booking. Acupuncture services are by appointments only. For same day appointments please DO NOT book online. Please call 4034523688 or text 4038158880. If you can't book the right time through the online booking calender please send us inquiry below or call 4034523688. If You have any questions, please send us an email or give us a call. We will get back to you as soon as possible. All inquiries will be answered. You are welcome to visit Total Acupuncture Calgary clinic in Kensington﻿.